It’s true. All of the criteria are important, but some are MORE IMPORTANT THAN OTHERS. Right? We all know this. Identifying gaps and needs is very important. Ensuring independence from commercial interests is very important. Criterion 6 is not at the top of the totem pole of importance. However, one of my clients, SAGES, has embraced Criterion 6 in a pretty neat way to make it useful in the planning process (see below). 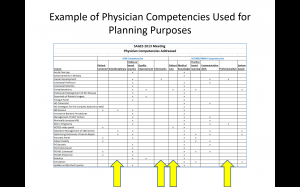 Every year, each session of the Annual Meeting is linked to one or more “Physician Competencies.” We track this and then highlight for the next year’s Program Committee areas which may have been under-emphasized in previous years. 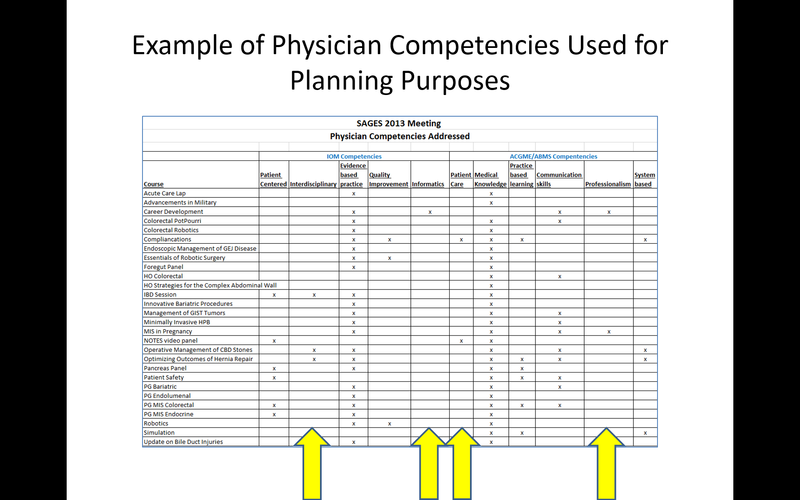 Not all competencies are relevant to this large specialty societies’ annual meeting – but some are. In this way, lowly Criterion 6 becomes not just required for compliance, but also provides insight into the CME program and therefore IT’S ACTUALLY HELPFUL! Which, of course, is the ultimate goal of the CME process.